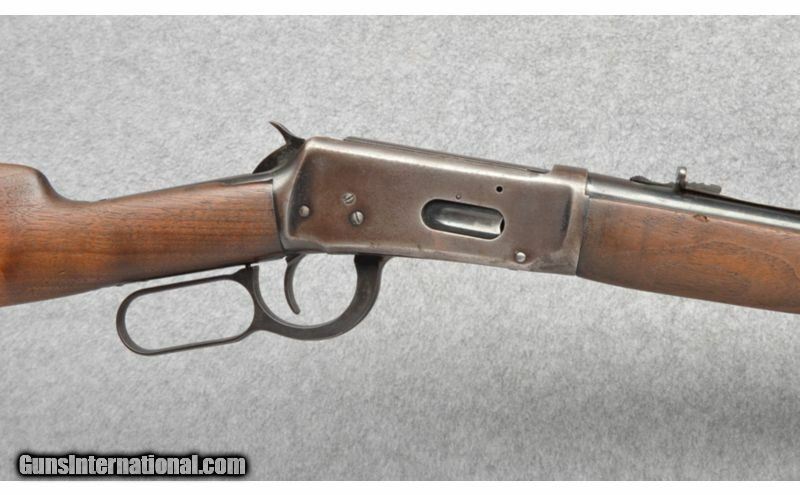 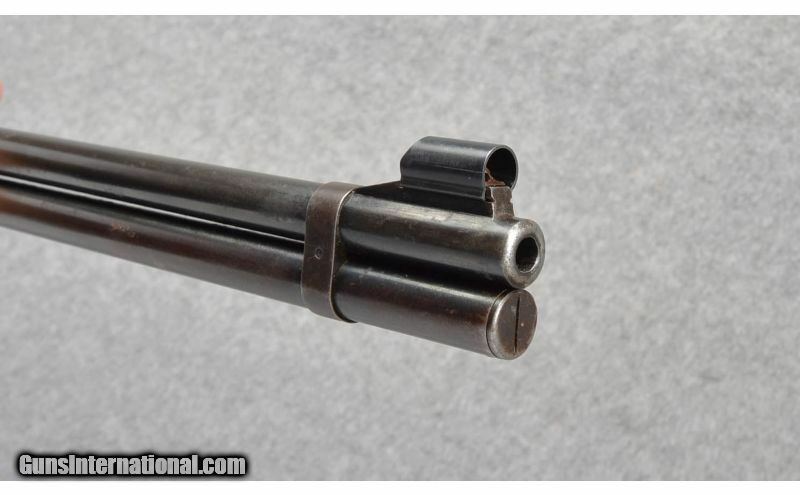 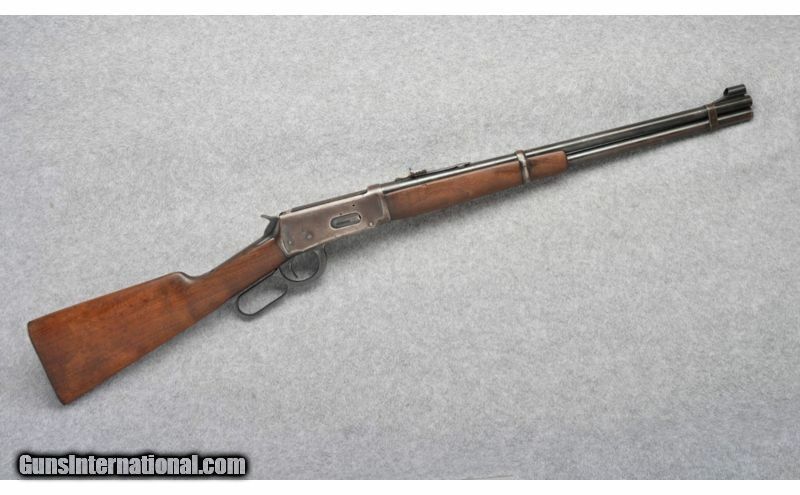 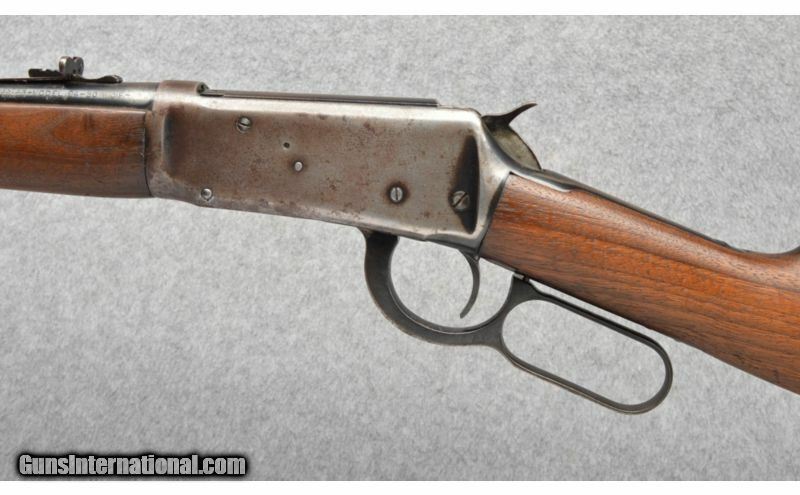 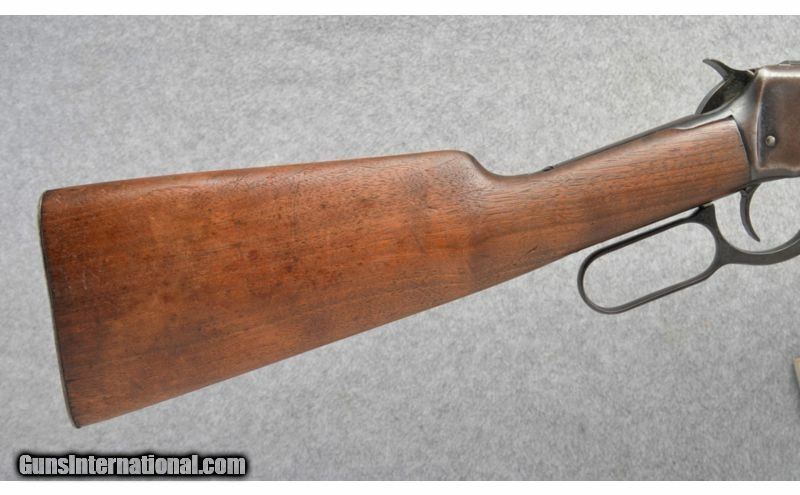 Winchester Model 94 in 30 WCF. 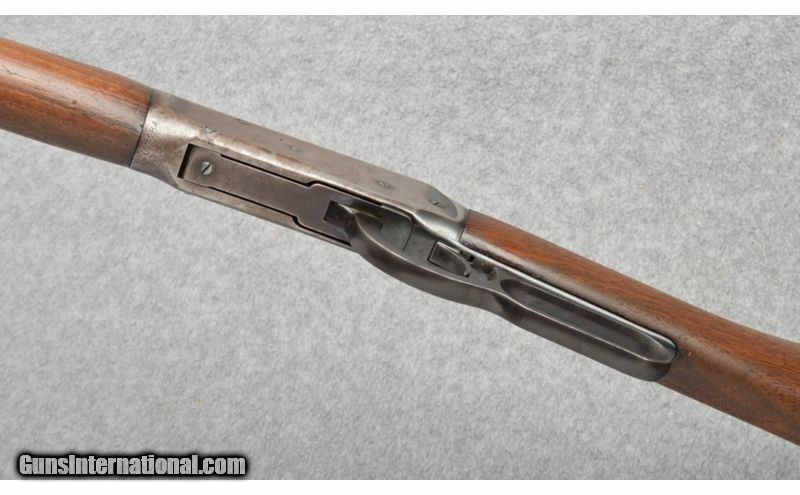 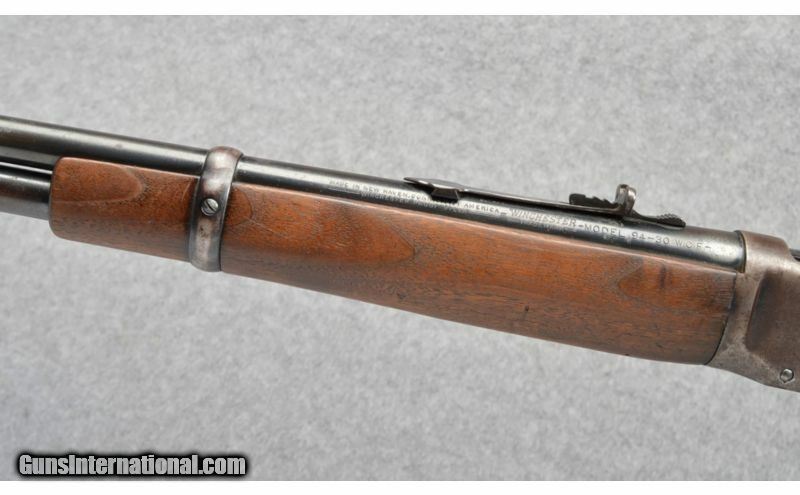 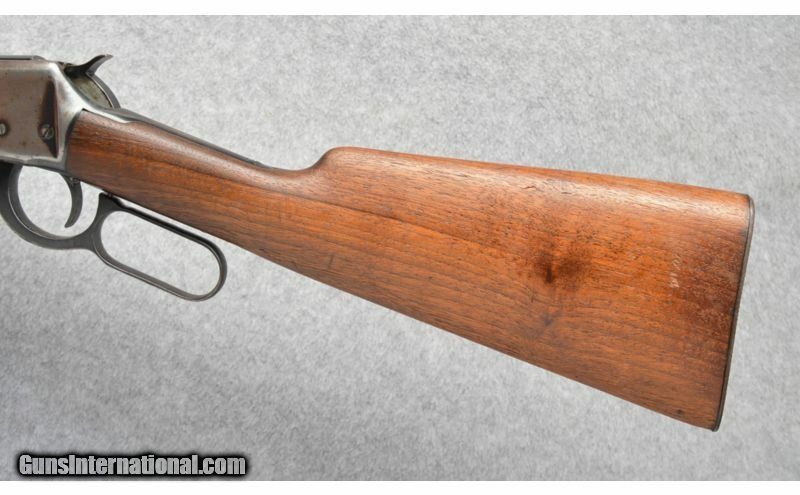 Solid and functional, war-time production carbine. 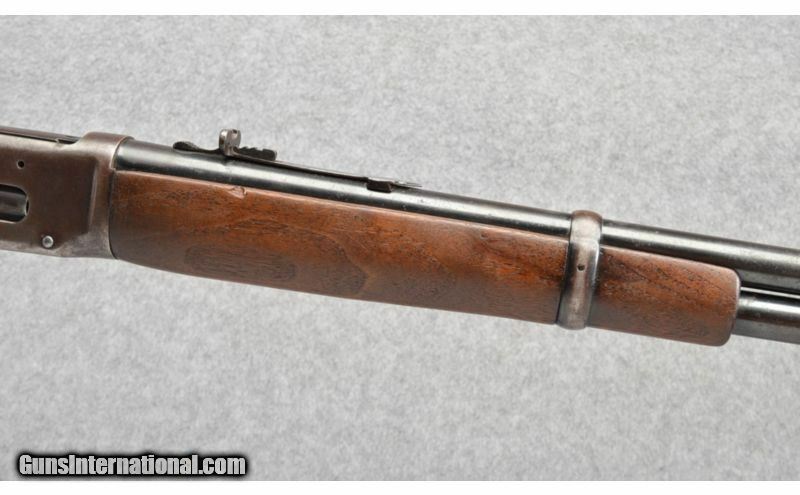 Metal Condition: Thin finish overall, receiver turning patina with some bluing remaininfg in the proteced areas.